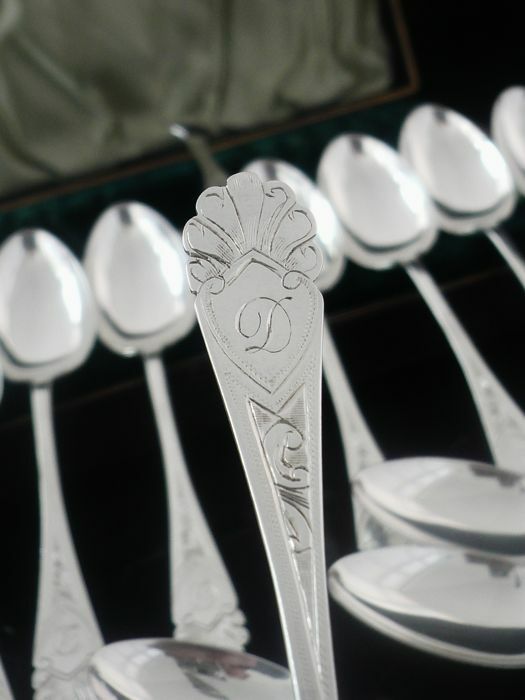 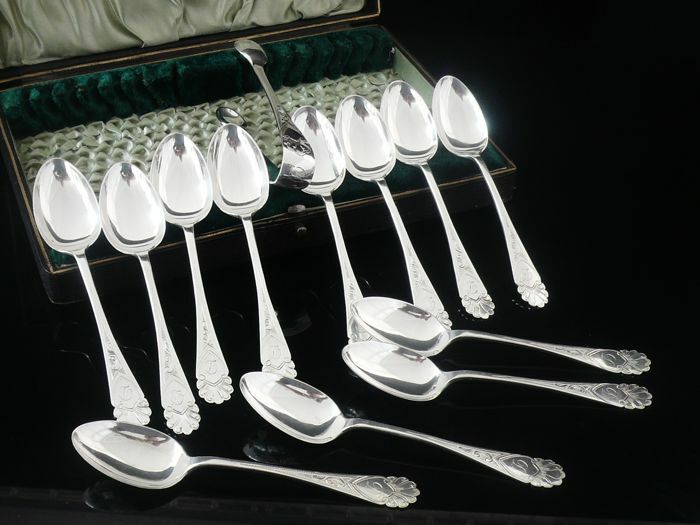 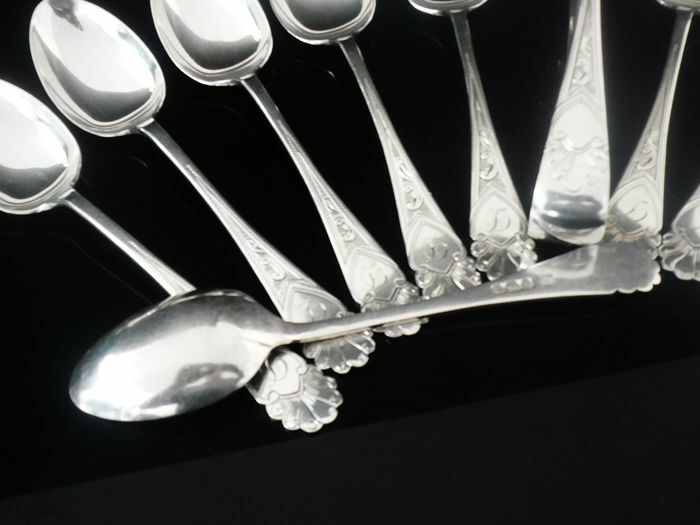 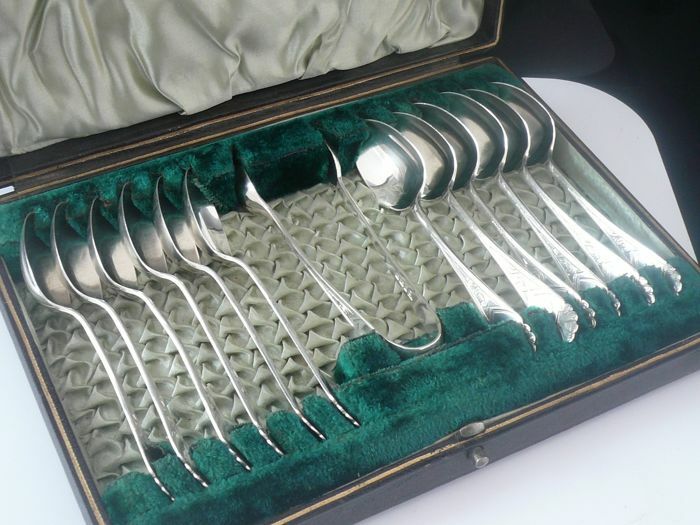 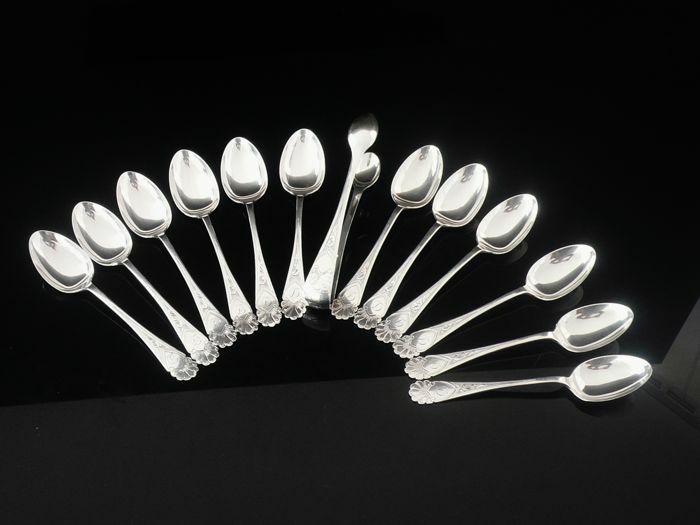 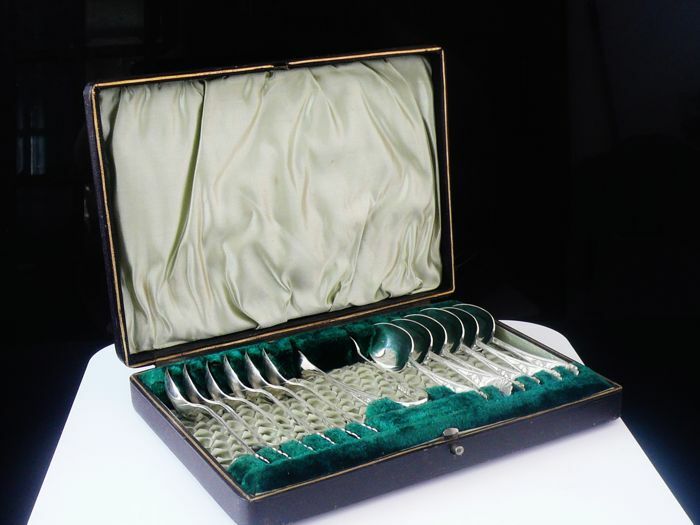 A set of quite exceptional English antique sterling silver 'fantail' teaspoons with sugar tongs all beautifully presented with their original fitted case. 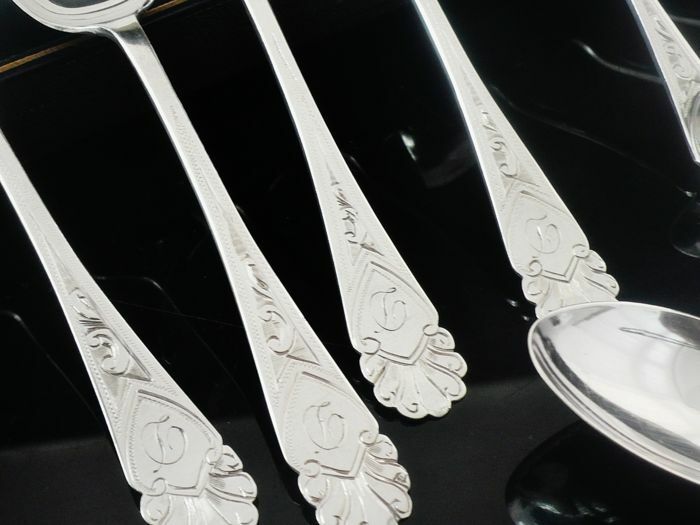 Each piece engraved with the letter (D). 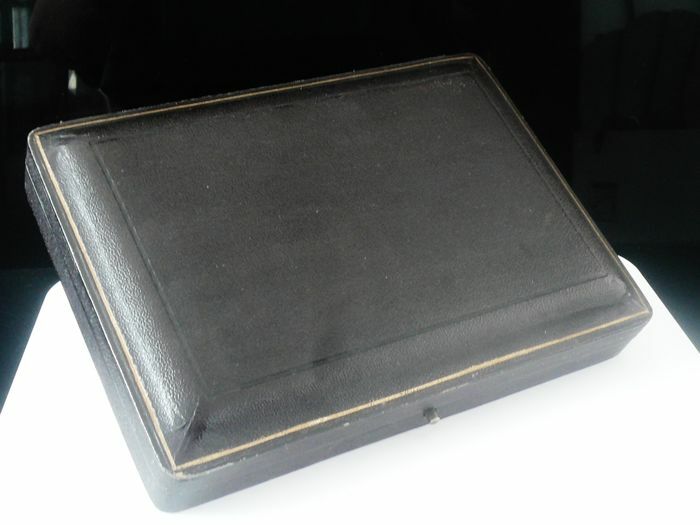 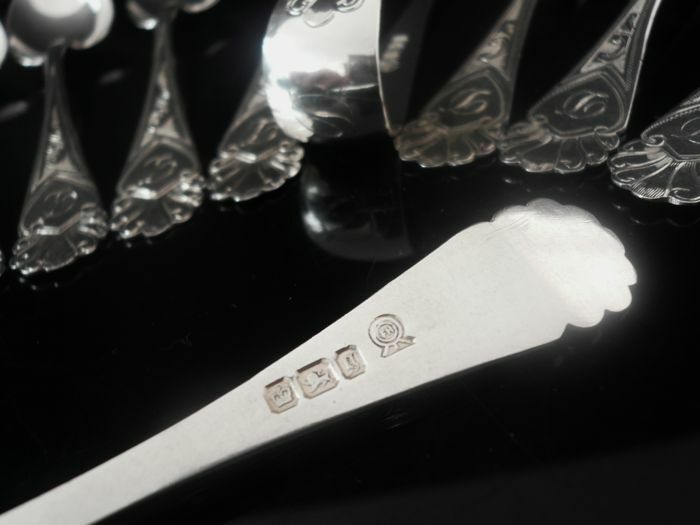 Each piece is hallmarked from Sheffield in 1899 with the makers mark being that of Francis Howard. 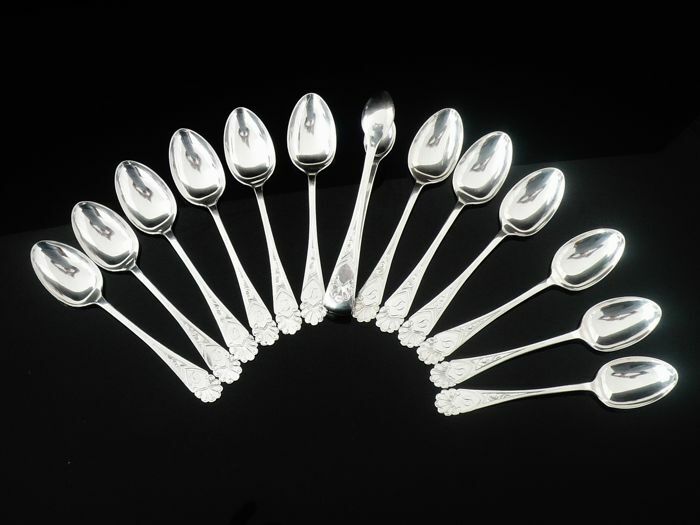 Each spoon measures 124mm (12.4cm). 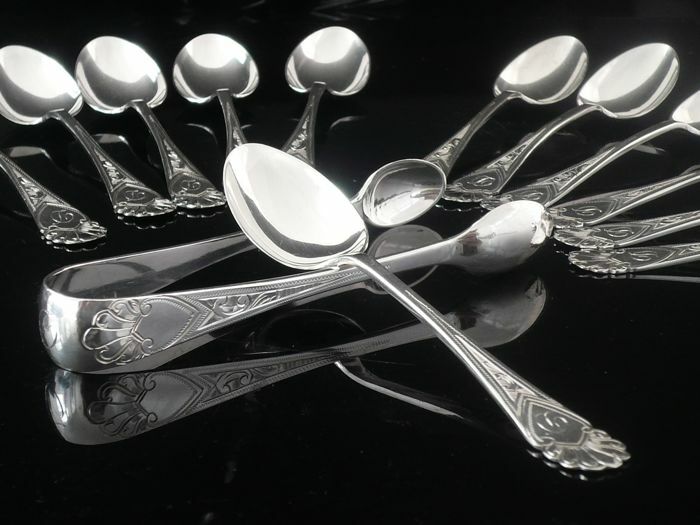 A super high quality set of unusual design.